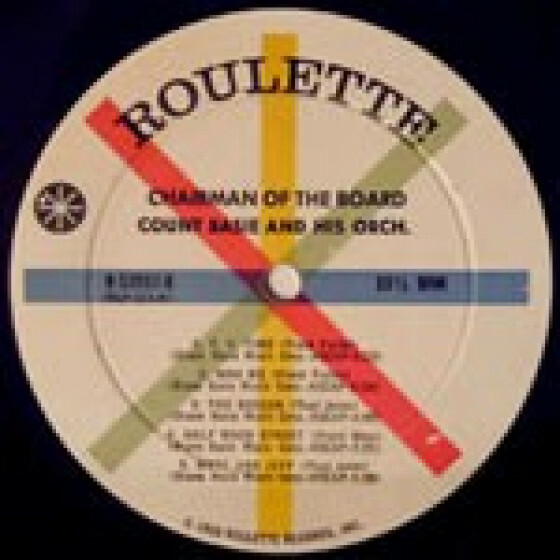 This CD presents the complete album Chairman of the Board (Roulette SR52032), recorded around the same time the Count made his classic LP Basie Plays Hefti. 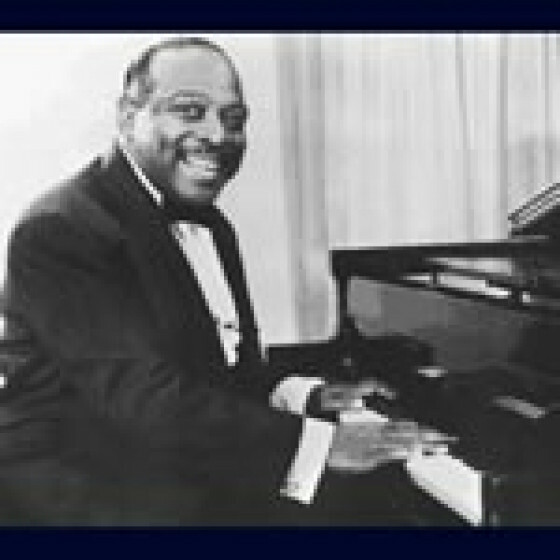 The Basie band was full of great musicians by that time, such as Thad Jones, Joe Newman, Frank Wess and Frank Foster, plus Basie himself and the evergreen (no pun intended) Freddie Green in the rhythm section. All songs from the LP were original compositions by members of the band. Six tracks that complete the music recorded during the Chairman of the Board sessions, as well as three live versions of three of the sessions tunes from the same period have been added as a bonus. 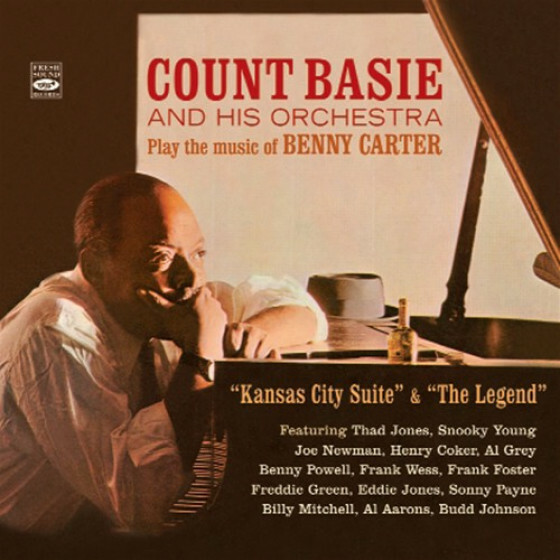 "Count Basie -Chairman of the Board"
Thad Jones, John Anderson, Wendell Culley, Joe Newman (tp), Henry Coker, Al Grey, Benny Powell (tb), Marshall Royal (cl, as), Frank Wess (as, ts, fl), Billy Mitchell, Frank Foster (ts), Charlie Fowlkes (bs), Count Basie (p), Freddie Green (g), Eddie Jones (b), Sonny Payne (d), Joe Williams (vcl on 11-12 only). Same personnel except Joe Williams omitted. Same personnel as above except Snooky Young (tp) replaces John Anderson, and Joe Williams omitted. Freddie Green plays shaker on 5. Same personnel as 1-2 & 11-12 except Snooky Young (tp) replaces John Anderson, and Joe Williams omitted. 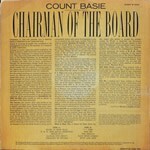 For this reviewer, this is one of the most satisfactory Basie LPs of recent date. There is evidence of new solo talent; the tunes are almost all superior essays in the blues, and there is less of the note of anger in the bands sound and more of mellowness. 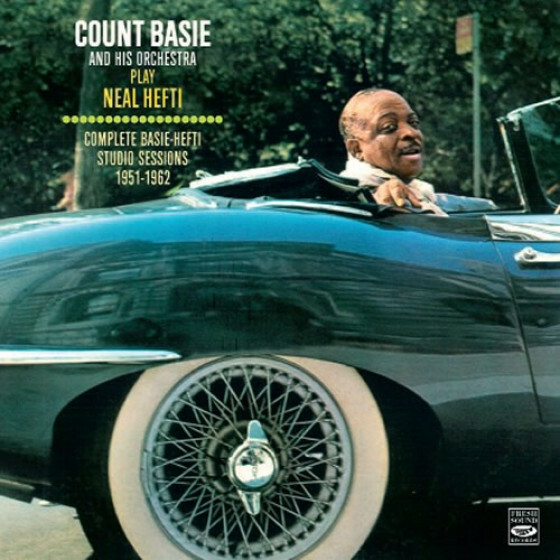 "Although it appeared at a time when Count Basie was enjoying respect from all quarters (as evidenced by the pop acclaim of several Grammy awards and the jazz faithful's enthusiasm for his concert at Newport), Chairman of the Board was, comparatively, a low-profile session. 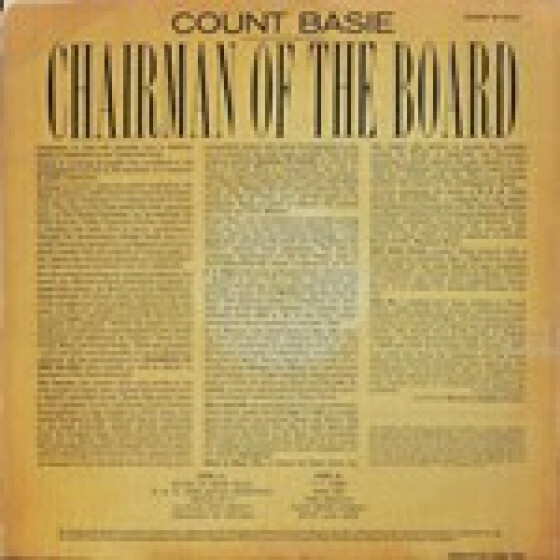 The record was surrounded in Basie's discography by several prize-winners and a parade of studio collaborations -- with vocalists Tony Bennett, Lambert, Hendricks & Ross, and Billy Eckstine, plus arranger Neal Hefti. 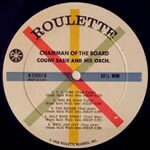 This 1958 date for Roulette was a rare chance for the orchestra to perform on its own, and listeners to hear how powerful the band could be when its concentration was undiverted. 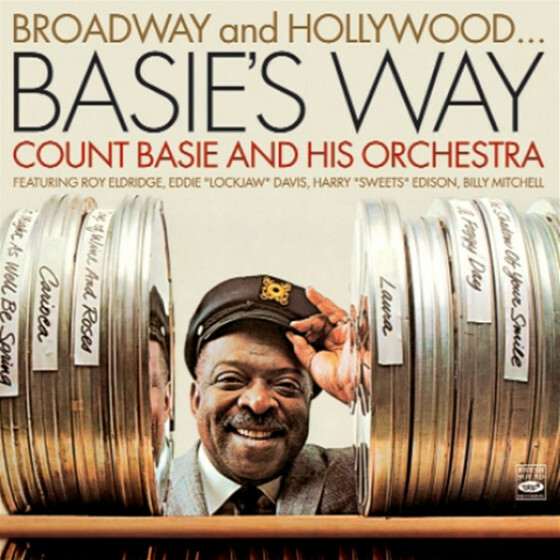 Of course, Basie's band already possessed three fine arrangers (Frank Foster, Thad Jones, and Frank Wess) and at least a dozen solo voices. 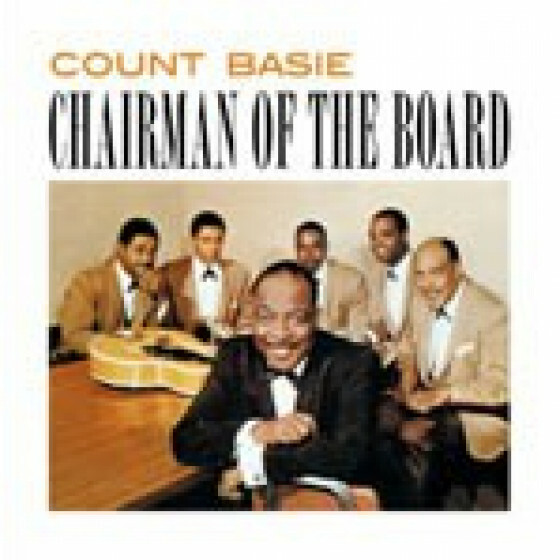 Each of the ten songs on Chairman of the Board were originals by Foster, Jones, Wess, or Ernie Wilkins, all of them arranged by the composer. The record is admittedly heavy on the blues, but it's a brassy, powerful vision of the blues; Foster's "Blues in Hoss' Flat" and Wilkins' "Kansas City Shout" take the band back to its hometown, beginning with a subtle swing but ending with a raucous display of power from each section. The contributions by Jones and Wess provide a necessary complement to that forceful swing. Jones' "Speaking of Sounds" employs the woodwinds to provide color and texture, while Wess' "Segue in C" relies on bassist Eddie Jones and Basie's piano to lead the band while Wess himself takes several choruses on alto sax. A dynamic date, it shows the "new testament" edition of Basie's orchestra in top form."